A noted historian named David Rothman wrote in his book, Asylums that prisons were total institutions. Those of us who live in prisons must function within the rules and policies that prison administrators set. Prisoners do not necessarily abide by all of the rules and policies, though they must function within them. For example, prison administrators determine what clothing an inmate may wear and how much clothing he may possess. They determine what the prisoner may eat and how much. They determine where a prisoner will sleep and with whom he will share space. Administrators set rules that determine the structure of every prisoner’s day. They establish a disciplinary code to punish prisoners who violate the rules. One thing missing from the prisons where I have been confined since 1987 was an incentive system that would encourage inmates to reform their ways and prepare for law-abiding lives upon release. One of the consequences that follow the institutional atmosphere is that prisoners lose a sense of efficacy. They do not strive to prepare for the challenges that follow release because administrative practices discourage growth on meaningful levels. Those who run the prison strive to maintain security in the institution, that means keeping it running smoothly, without disruptions. The policies are designed well to cope with gang problems, with contraband, with corruption and violations of rules. They are not so well equipped to function with individuals who are striving to build bridges to society or expand their networks of support. Prisons are designed to confine, to extinguish individuality. That does not result in a good return on taxpayer investments in these costly institutions, as the high recidivism rates suggest. During the more than 21 years that I have served, I have worked hard to build a record that would demonstrate the need for prison reform. My work required that I educate myself, keep a clean disciplinary record, and interact with others so that I could write vivid descriptions of the prison system and why it fails to bring about positive change. I interacted and learned from many of the men with whom I served time. Those interactions put me into contact with prison gang leaders, organized crime figures, and white collar offenders. My fellow prisoners share their stories with me because they know that I write with hopes of bringing about change that will improve society and our lives as prisoners. 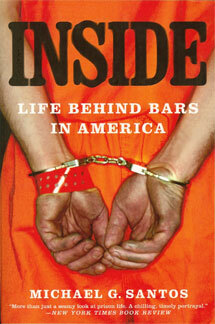 By extinguishing hope, I am convinced that prisons breed violence and continuing cycles of failure. They fail to make society safer, as more than 600,000 people are released from prison every year, and those individuals lack the preparation they need to function as law-abiding, contributing citizens. If administrators were to change their policies and implement incentives that would encourage inmates to earn their freedom, I am certain that more prisoners would adjust in positive ways. I’ve written about the work I have done to lead me to such conclusions in my books, and in articles available at www.criminal-indictment.com. In your artice tittled “Prisons Fail to Prepare Prioners For Society”, you indicate that that prison does nothing to help a prisoner agust to outside life with society. That if only the prison and its guards create a way for the agustment to be easier than inmates would have a better chance to reform. Because of the discouragement of constructive behavior, the inmate is destined to fail in normant society. My questions for you are: What kind of constructive programs would work for thoes willing to partake in them? Do you think that there would be enough people participating for the state to put enough money into the program? Who would be the likely candidates for such a program? Would everyone participate or are there too many people inside who aren’t getting out, and therefore don’t care about such things like the outside society? I have been reading your book and I find it very interesting. I think it is very well written and it reflects the length and time you put into writing a book that noone wanted you to. I think society needs to read and understand what you have brought to light about prisons. Thank you for your time. Thank you for this opportunity to elaborate on steps I think leaders can take to make America’s prison system more effective. My thoughts on effectiveness mean that leaders should implement reforms that will reduce recidivism and lower prison operating costs. To achieve such an end, I think we need fundamental reforms. The reforms I think would work best would include a mechanism that offered opportunities for offenders to reconcile with society. Frankly, I do not see how we serve justice by isolating offenders, extinguishing hope, and oppressing their spirits. Such an approach, to me, leads to high recidivism and unsafe societies. It seems that only the taxpayer is punished by having to fund a system that perpetuates failure. A far more effective system, I think, would encourage prisoners to earn freedom through merit. I believe the power of incentive is far more effective than the threat of punishment. Even a former Supreme Court Justice, Warren Burger, urged prison reform that would offer opportunities for offenders to earn freedom through merit over sustained periods. Every offender would be a likely candidate to participate in such a program. Though only objective accomplishments would advance an offender’s standing. Leaders could work out details of what incentives would be appropriate. I simply argue for a mechanism that does not exist in the system of corrections today. From my perspective, that is a fundamental flaw that contributes to high recidivism and high operating costs. I wish you success with your academic program and your career. Let me start by saying it means a lot to me to see someone in prison being so helpful to the community. I never knew there are people out there like you. It could be me just being naive or that I watch to much in the media that give felons a bad name. Regardless, thank you so much for what you are doing, it is truly inspiring. Now, in regards to the article above “Prisons fail to prepare prisoners for society” I have a few questions; Why do you think prisons focus more on punishment then reform? To name of few, what kind of programs do you think should be implemented to help prisoners reform? Why these particular programs over other possible solutions? Lastly, some people believe that reform would be too costly of a direction to take especially because it doesn’t come with a guarantee that recidivism rates would decline. Therefore, how would you convince these people that reform is still necessary? I wish the best for you and Mrs. Santos. My wife and I are grateful for your supportive comments. We work as a team. I would not be nearly as effective at contributing to society and preparing for release if I were not blessed with her love. My observations do not suggest that prisons focus on punishment. They don’t. The focus is on isolation, or warehousing human beings. I don’t sense that I’m being punished for example. Rather, I’m being confined – unnecessarily – at great cost to American taxpayers. The punishment ended decades ago, when I was initially processed into the system. Since then, I’ve adjusted and the punishment has worn off. I am convinced, and the Pew Report corroborates, that prisons are more costly to run without prison reforms. The first reform I would bring would be to open access to telephone, visits, and e-mail so prisoners could work toward nurturing ties with family and positive support networks. Then I would implement incentives or mechanisms through which prisoners could work toward earning freedom through merit. We ought to measure justice by an offender’s efforts to reconcile with society and prepare for a law-abiding life. I do not think calendar pages turning is a particularly good measure. Prolonged incarceration, especially for nonviolent offenders, is costly and destructive to the fabric of our society in my biased opinion. To me, reform is necessary because prisons have proven too costly, with the only benefits flowing to prison lobbyists and the organizations that reap the benefits of massive prison expenditures.